"Even though I'm a beginner, it sounded great on my very first try! ​ it's an amazing feeling, like my hands are singing!" - Jacqueline M.
​David's passion for handpans began the very first time he laid eyes on them in 2007. Since, he has been on a devoted journey to explore enigmatic beauty of handpans in every way possible. 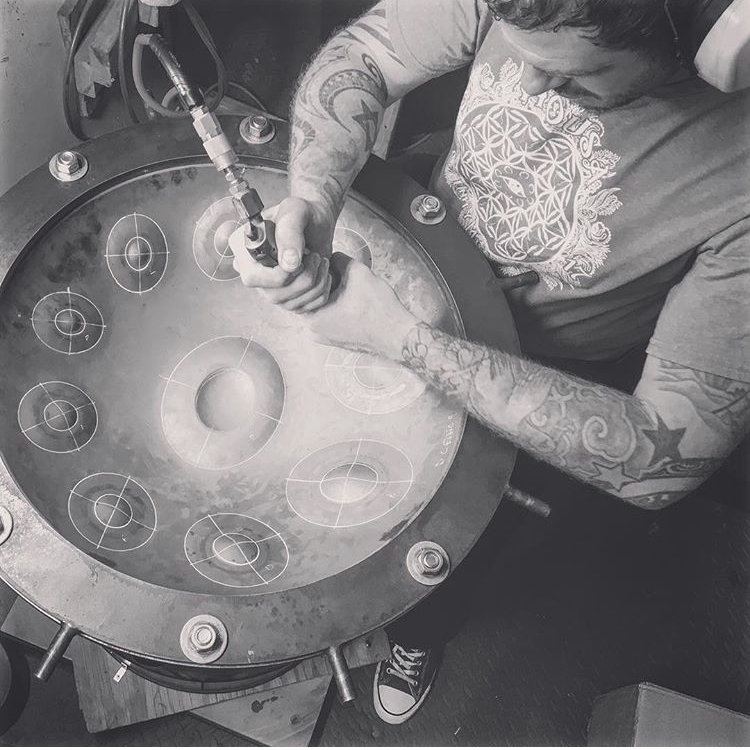 David has supported the handpan community nationally and internationally, involved in conferences world wide; he began the first handpan podcast, and now in his passion he has created Makai Instruments, a well respected handpan company, based on the Big Island of Hawaii. "I purchased a C# Magic Voyage from David and his team around October of this year. he provided throughout the entire process. I highly recommend anyone looking for a local quality pan-maker to keep Makai in mind. ​5 stars. Be sure to subscribe to their Youtube channel!" ​"Best in the biz! Incredible instruments!" ​ & how do you play it? 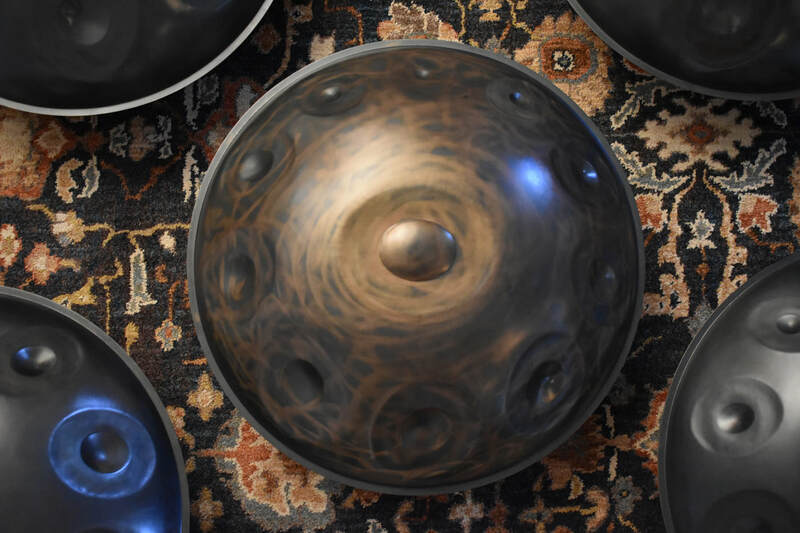 A Handpan is a steel instrument that is both percussive and melodic. It consists of two steel hemispheres glued together. The top shell contains a central note surrounded by the tone circle which consists of 7 or more notes typically. By tapping on the tone fields with a finger, one will create a resonant sound. By tapping 2 or more simultaneously, one can create chords. Gently hitting the spaces between the tone fields, or on the shoulder of the central note, one can create higher pitches which can add percussive elements which can compliment more melodic play. There are many ways to combine these sounds to create songs. There are also endless combinations of notes, chords, and moods when multiple handpans are played together. 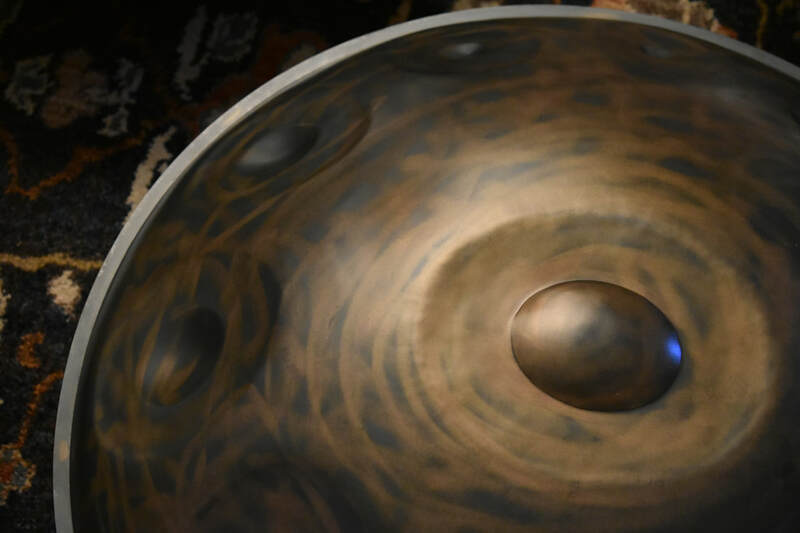 "When I play the handpan by myself out in nature it feels amazing, I completely let go and feel free! "